As the Fall season rapidly approaches at Air Systems Texas we are getting our client’s ready for the “Ber’s”. You know…Septem-ber, Novem-ber, Octo-ber and Decem-ber. And while in our neck of the woods we eagerly await the cooler weather and the chance to break out our jackets or adorn ourselves with that sweater we spent all summer knitting, our AC and Heating Systems may need a good kick-start to prepare for the colder weather that is coming. Form many folks, preparations for the Fall is more about decorating the house and hitting up local barista for that Pumpkin Spice Latte we have waited all year for. But, for the avid homeowner, Labor Day marks the time where we get busy doing all of the maintenance on our homes to prepare for the Fall season. Here are some recommendations from your friends at Air Systems Texas. 1. Change your air filters. The summer with all of the activities and coming in and out of the house can really do a number on your air filters as more traffic is generally equated to more dust. Dirty air filters can do a number on your AC system rendering them ineffective at properly cooling your home at full efficiency. Your outside units have a tendency to collect a whole lot of leaves. 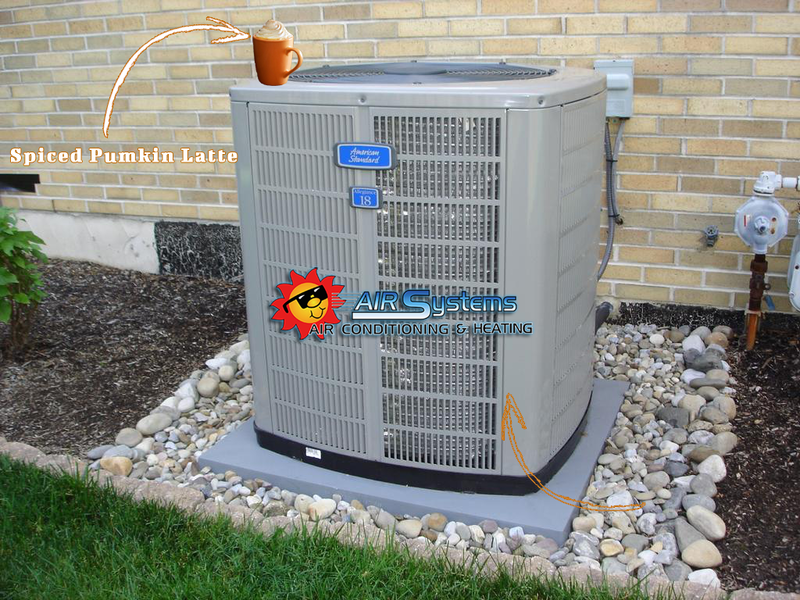 Keeping the units free of the colorful and festive leaves that make Fall so beautiful can help insure that when you kick on your AC (alas- we still have to use them during the Fall here in the South), your AC system is not impeded. 3. 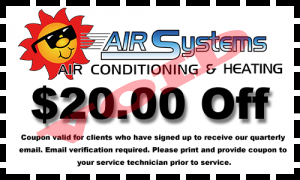 Invite Air Systems Texas over for a visit. Having your AC and furnace checked out regularly can have an impact on your wallet. By preempting costly issues you avoid more costly replacements. Spending a little at the change of each season to do a full system check can save you a fortune in the long-run. Your Air Systems Texas AC & Heating technician can help evaluate your system and identify any potential problems before they become serious issues. Besides, we heard you have Pumpkin Spice Latte’s and we’d love to join you! 4. Evaluate Whether or Not a New System Is In Your Future. Let’s face it, supply and demand in our industry is seasonal. During the summer when the demand is higher, generally speaking, so are the prices for many air conditioning systems. For most people looking to save a little and are planning to get a new system anyways, the best time is during the colder months when the demand is much lower. Often times you can find some really good discounts so the manufacturers can push more of their products. At Air Systems Texas we can help you with that too! And since the winter months are generally slower than the summer months, we may actually have more time to visit with you as we slowly sip that buttery Pumpkin Spice Latte with you…oh yeah! 5. Go Shopping You Earned It. Okay…so you may not need to do this one, but we believe retail therapy is good to get you ready for all of the Fall fashions. Besides what else are you going to do with all that money you saved by choosing Air Systems Texas?!?! Air Systems Texas is proud to serve Friendswood and the surrounding areas with the very best, most reliable, air conditioning and heating services. Call us today or fill out our convenient contact form below. And if you need us to pick you up a Spiced Pumpkin Latte on our way out, let us know!